Nicole Aitken, a representative from Katz and also a COE alum, is demonstrating zSpace on Wednesday, October 15 at 10 AM in the Terrace Room. This is a nice opportunity to see a new tool and to extend a warm welcome to a COE alum. Please feel free to just stop by but, if you can, please RSVP to Megan Lewis, meganelewis@coe.ufl.edu. Please see the attached Presentation description. Florida Education Association’s next workshop of the semester is Wednesday October 15th at 7:30pm in the Terrace Room! This workshop will focus on movement in the classroom and we will have guest speakers come in to talk about and demonstrate Zumba for kids and kid’s yoga with us! This will be a very exciting and interactive workshop and we hope to see you there Edugators! 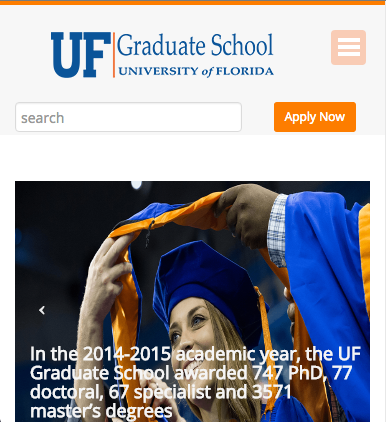 Hey, EduGators! It’s Homecoming week and time to Get Up and Give! Show your spirit and help support our College of Education by making a donation: GetUpAndGive.ufl.edu/EDU. Just $10 will touch lives through scholarships, research, outreach and more. When 30,000 EduGators come together, there’s no stopping us! 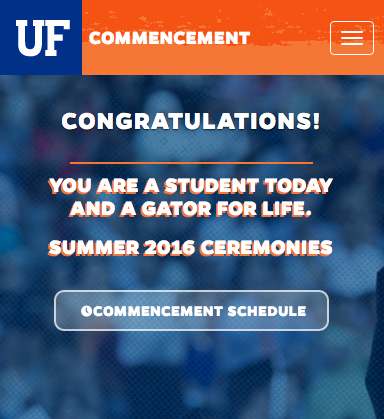 UF Gator McKnights Unite invites you to attend Stages of Success: Knowing the Right Resources at the Right Time. 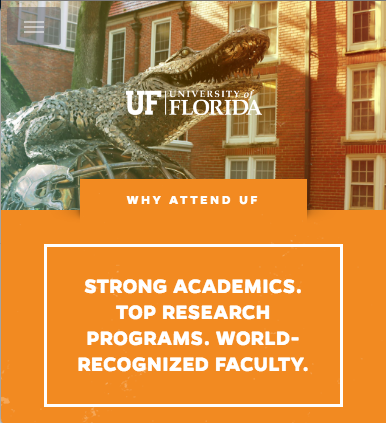 If you are interested in learning first-hand what resources provided at the University of Florida meet the needs of its matriculating students, then this workshop is for YOU! The focus will be on the dissemination of knowledge to increase students awareness and perceived usefulness of resources that are meant to promote retention and graduation. These resources have been linked to students having a greater sense of the skills and abilities needed to be successful at various parts of the journey to graduation and beyond. Please RSVP on GatorConnect. During childhood and adolescence, youth spend significant portions of their lives at school, but what if school is an uncomfortable space where they feel harassed or even bullied? Sadly, this is the reality too many LGBT youth face while in school. Join us October 21st as Dr. Elizabethe Payne hosts a discussion about the importance of restructuring school culture in order to address the issue of LGBT bullying. The event will begin at 6pm and will be hosted at Cymplify Central located at 5402 NW 8th Ave, Gainesville, FL 32605. Sponsored by UF LGBT Affairs and Gainesville Equality Youth. Dr. Payne is a leading authority on the issues of LGBT bullying. Dr. Payne is Founder and Director of The Queering Education Research Institute (QuERI) currently located at Hunter College, CUNY, in New York City. Dr. Payne’s qualitative research with QuERI covers topics such as elementary teachers experiences working with transgender students, the effectiveness of LGBTQ professional training, and the role school structures play in LGBTQ student’s school experiences. Dr. Payne’s work is unique in the field of educational research and is necessary in order to create positive school cultures that affirm LGBT youth identities. Come join fellow grad students in the College of Education to learn how to design and deliver conference presentations that will engage your audience, promote discussion, and make your research memorable. Light refreshments will be provided. 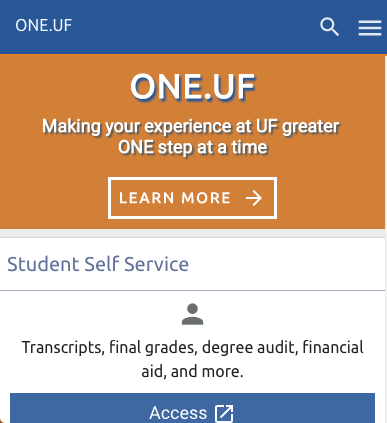 Please visit the UF SAGE Facebook page for updates! Student Leader Roundtable – Interested in the first ever Student Leader Roundtable revolving around the topic of Education? This opportunity focuses on student organizations discussing and addressing prominent education-field related issues, connecting and collaborating with similar organizations, and discovering ways the Center for Leadership and Service can best provide support. Any 2-3 officers from your organization whose mission is primarily service, philanthropy, or leadership education can attend. You are welcome to invite a faculty member from within the field to attend. Please have them RSVP at http://bit.ly/Zs2SKq. Questions? Please contact laurendg@leadershipandservice.ufl.edu. For additional information, visit http://www.leadershipandservice.ufl.edu. MISS THE STUDY ABROAD FAIR? UF IN THE DOMINICAN REPUBLIC–undergraduate students This 6-week, Study Abroad option includes the opportunity to teach in community learning centers in Santiago, Dominican Republic. Students take 3 credit hours of either accelerated Spanish OR 3 credits of Cultura Dominicana (en espanol) PLUS 3 credits of EDG4930, Teaching in the Dominican Republic. Students live in homestays with families. Contact Dr. Maria Coady (mcoady@coe.ufl.edu) for more information. **NOTE: this separate Finland Study Abroad option builds upon Spring 2015 graduate seminar EDF 6812: International and Comparative Education with Dr. Coady, Wednesdays, periods 10-E1. Though not required to participate in the Study Abroad, students are encouraged to participate in both. We believe that passionate individuals can inspire local and global change! We, Projects for Haiti (P4H), are a Gainesville- based 501(c)(3) nonprofit organization. Our mission is to partner with Haitians educationally and vocationally while collaborating with the international community to advocate for global sustainable practices. We are thrilled to announce that on November 1, 2014 we will be bringing together over 100 Educators from around North Central Florida to host the First Annual Gainesville Connected Conference. In collaboration with the University of Florida Centers for Latin American, African, and European Studies, we hope to use the stories and passions of prominent international educational leaders to raise global awareness of global issues across world regions in our community. This event will feature 5-6 dynamic speakers that will seek to inspire further international partnerships among educators and encourage global citizenry in North Central Florida classrooms. The goals of this conference, therefore, are as follows: Connect Educators to Global Education opportunities; Empower Educators to create global citizens in the 21st century classroom; Support global sustainability initiatives through increased awareness. Please visit http://gainesvilleconnected.wordpress.com to find out more information about this incredible opportunity. To RSVP, please fill out the short form at http://tinyurl.com/gainesvilleconnected by October 15, 2014. Due to space restrictions, we can only accept the first 150 Educators who register, so please register early! A Registration Fee of $10 will include breakfast, lunch, a conference t-shirt, a conference bag, and a $2 donation to Professional Development for Educators in Haiti! Please feel free to contact us at connected@projectsforhaiti.org if you have any questions. We are looking forward to a fantastic event and hope that you will be able to join us this November! The University of Florida, a partner institution in the Davis United World College Scholars Program, is pleased to announce an opportunity for undergraduate students to design a grassroot project for peace anywhere in the world! The Davis Foundation will award the winning project $10,000 for the project to be implemented during the summer of 2015. Use your creativity to design a project that focuses on conflict resolution, reconciliation, building understanding and breaking down barriers that cause conflict. Due to this generous funding, UF students have had the opportunity to travel and perform service projects all over the world (Bolivia, Haiti, Rwanda, Mexico, Tanzania, Cambodia, India, Palestine, Swaziland, Macedonia, and Uganda). Come out to our info session on Monday, October 20th from 5:30 – 7pm in the International Center at the Hub. It will be an opportunity to find out how to apply and hear from last year’s project winners. Want to increase your group’s impact? Apply for the UF Servant Leader Institute! The Servant Leadership Institute is a day long experience, sponsored by the UF Center for Leadership and Service, for student groups who are interested in increasing the breadth and depth of their impact on the UF campus and in the greater-Gainesville Community. As a participant in the Servant Leader Institute, you will have the opportunity to network, problem solve,and develop skills and knowledge related to servant leadership, coalition building, and service-learning with other student leaders, Gainesville community members, and UF faculty and staff. The Institute will take place on November 8th from 9am-7pm. Application are due by November 3rd. You and two other members of your organization are encouraged to apply. Please see the attached announcement. They are seeking student volunteers and sponsors to help out with the run which takes place on October 25th. One Heart Source is currently accepting applications for our 2015 Volunteer Programs in South Africa. In 2015, we are offering a variety of 2 and 4-week programs in Cape Town, South Africa! Programs Offered:April 20 – November 6, 2015. As an OHS Volunteer, you will: Integrate yourself into and work closely with members of the local community to create positive social uplift; Teach primary school students through a mentorship program focused on building strong Math and English foundations, while empowering students; Exchange ideas and culture with people from around the world; Lead after-school programs in non-traditional subjects like dance, debate, art, and sports; Work with a small, dynamic team of international university and graduate students; Develop yourself intellectually through leadership, service, and dialogue. We at One Heart Source believe in creating lasting social change through education and human connection. We encourage you to take a step towards providing a more socially just future for some of the most marginalized communities in the world. Both Graduate and Undergraduate students are encouraged to APPLY NOW FOR OUR 2015 PROGRAMS! Next Application Deadline: October 24. For more information and to apply visit: www.oneheartsource.org/volunteer/apply/. Please contact eric@oneheartsource.org with any questions! Join Florida Alternative Breaks this 2014-2015 school year as one of our site leaders! Site leading is an incredibly rewarding commitment. Check out this video to learn more. https://www.youtube.com/watch?v=NglBNT1b_2w While any of our trips will help you improve your managerial skills, students in the College of Education may enjoy leading our children with disabilities trip or children’s nutrition trip. All of our trips will give CoE students the chance to host educational activities with their participants on the social issue and also lead discussions on the issues in relation to their service. No leadership experience? Or maybe you’re a little rusty? We got you. To become a site leader, you will be enrolled in a 2 credit course along with your co-site leader where you will receive a thorough training on leading through service-learning. You will get tons of support from the Exec Board as well as your site leader trainers. This course will also pay for your trip (except international trips). And let’s be real, site leading just takes FAB trips to a whole new level of fun and engagement. You can find the application at http://www.leadershipandservice.ufl.edu/programs/florida_alternative_breaks/site_leaders/ If you still have questions, email FloridaAlternativeBreaks@gmail.com. If you have any conflicts about the class, email our Adviser, Angela Garcia, at angelag@leadershipandservice.ufl.edu. Don’t forget to like us on Facebook for updates and great articles. Growing up, many of the teenage girls here at our wonderful alternative school have either: not been provided with the educational resources to help them succeed or been in such painful or challenging life circumstances that learning math concepts has taken a back burner. As a UF student, you could really make a difference, explaining how to figure out middle and high school math problems (pre-algebra, algebra and geometry), and encouraging our girls’ determination. The experience of seeing their light bulb go on about something that was previously confusing can be deeply rewarding. Also, in addition to the intrinsic benefits, volunteering for the PACE Center for Believing in Girls, looks great on your resume! Furthermore, there is books and internet resources here that can help you help them! If you are available to commit to focusing with our adolescents on 6-12 grade math material, volunteering on a consistent weekly schedule for a minimum of 3 hours a week – on Monday, Thursday and/or Friday between the hours of 9:45 am-4 pm. For the first 5 people who contact us, we would pay for the $27 DJJ background screen required to be able to work to our vulnerable population. Please respond to emi.lenes@pacecenter.org. Mother in Northwest Gainesville is looking for a nanny to help her care for a 2 month old in her home. The mother will be present, but wishes to work from home. She needs assistance 10-20 hours a week. Days and times flexible. Please contact Kate at kcasey27@gmail.com. We are in need of a reading, writing, and science tutor for our fifth grade son on Tuesdays and Thursdays, 2:15pm-4:15pm. Preferably someone with experience tutoring children with ADHD to help with homework and study skills. Familiarity with the Constructed Response Graphic Organizer would be helpful. If interested, please contact Julie at bearcubsmom@gmail.com with your resumé or tutoring experience. Twice a week, Monday through Thursday, one hour per session, between 4 and 6pm, $15.00 per hour, 6th grade math. Please contact 352-538-4087. Tutors needed to assist with homework on Mondays and Wednesdays from 5pm-6pm. If you are interested in tutoring local children ages 10-14 who really need your help, please contact redklay@gmail.com or (352)283-3770. Practice is at Fred Cone Park and the children do their homework at the Cone Park Library located at 2841 E. University Ave Gainesville, FL 32641. Please contact Mr. Perry as soon as possible if you are able to assist. Seeking an enthusiatic and responsible caregiver for our kids; 11 year old (boy) and 5 year old (girl). We live in SW part of town near Haile. Requirements: Safe driving record, good references and reliable car. Duties include: Pickup from school, helping with homework, driving kids to activities, supervise outdoor play, help with minor chores such as kids laundry. Hours: 2.45PM-5.30 PM (room for some flexibility of start time if 2.45 PM not possible), Mon through Friday (approx. 10 hrs per week). If sitter’s availability is only few days a week we would consider that as well. CONTACT: Asmita @ cell: 352-246-2073 for further details and send CV to asmita.gupte@medicine.ufl.edu. Twinkle Toes Nanny Agency is seeking nannies and babysitters who have previous child care experience, love kids, and have afternoon availability. Ideal candidates will have availability starting at 2pm M-F. CPR certification and references will be required. Please email info@twinkletoesnanny.com or call 352.538.2012 if interested. We can’t wait to welcome you to the Twinkle Toes team! I am seeking an English tutor for my 8th grade daughter who is bilingual in English and Korean. Tutoring is needed in English skills, especially Writing and Reading. If interested, please email stm708@gmail.com. A doctoral student from Korea in the department of Interior Design is seeking a tutor to speak English with on Wednesday mornings in Newman Hall. $15~20/hour for payment. If you are interested, contact bigjinkim@ufl.edu or 352-226-4064.